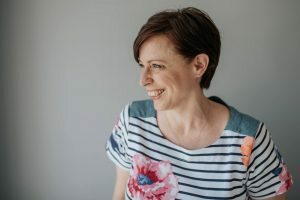 Today, a guest blog by my friend and Developing Doulas student, Lauren Derrett, founder of the brand new gift box service for mums, The Whole Nine Months. As a mum of 4, Lauren really understands how much new mums need a whole heap of loving and nurture through the wild ride that is pregnancy and birth. Here she talks about how women can get forgotten and subsumed in the understandable interest in the baby and why it’s so important to give pregnant mothers some empathy and a listening ear. Friend – Wow look at you, look how big/small you’ve got, do you know what you’re having? Friend – What’s your due date? Friend – Yea makes sense, where are you birthing? Not one of those questions were asking how she’s feeling, if she’s worried about anything, if she has support around her, if she needs anything to make her journey a little easier. There were no words of encouragement, of understanding, of solidarity and there was no awe in the amazingness of the workings of her perfectly apt body. re to grow and nurture this more significant being who is already being held in higher esteem than her? Why is all focus quite often on the baby? Being pregnant can be extremely challenging for some women (myself included), it can be lonely (ironically as you are never alone) and it can make you feel as though you are an afterthought in the whole process. And these feelings are only heightened when all the challenges and loneliness are swept under the carpet in favour of cutesy baby talk. Don’t get me wrong, of course the babies should be cherised and adored, but they are here because she tirelessly grew them, unquestioning, eternally grateful and all encompassing, so therefore should she not be also cherished and adored for her role in this miracle? Women need to support women and never more so than during pregnancy. Society needs us women to support and celebrate each other and the time when support and celebration is most needed is when we’re pregnant. Without it we all become a million islands in a world of millions and that leads to more an more loneliness and more and more divides causing millions of feelings of emptiness. offload any fears or worries, we need the space to share our celebrations with our sisters, woman to woman, we need to feel we matter in whole scheme of giving life to another in order for us to feel included in our own evolutionary journeys.